Not sure who the artist is though... any guesses? Tom Raney? Jim Caliafore? I'm pretty sure this is attributed to Salvador Larocca as one of his first published works. The artist is Salvador Larroca. The pin-up was made for the Spanish edition of Alpha Flight # 46 (January 1990) some years before Salvador began his professional career as a penciler in the USA. I know it because I'm Spanish. This magazine included Alpha Flight Vol 1 # 52 & 53 and The Incredible Hulk Vol 1 # 329 from the American edition. Nice piece of artwork, but why was it published as late as 1990? 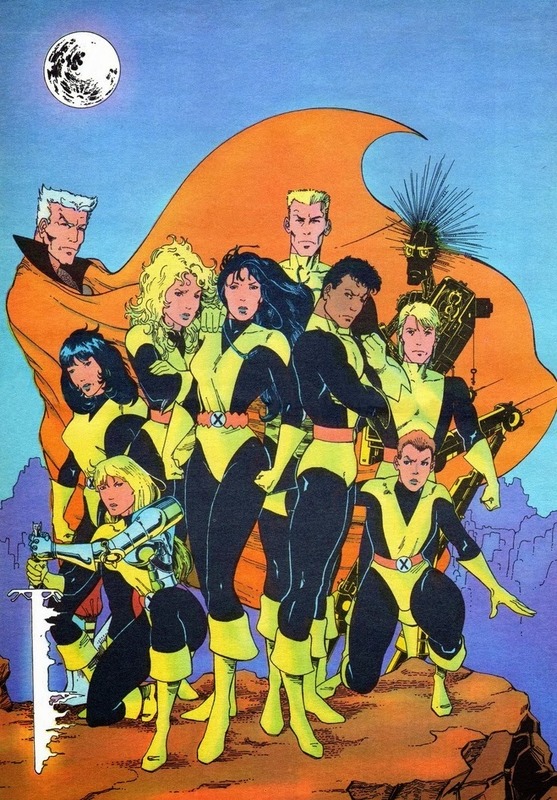 Were 1986 New Mutants stories only being printed for the first time in Spain around then?